The 2016-17 Rotary Year has come to a close. Please join the millions of beneficiaries of projects funded by The Rotary Foundation in thanking our members who have honored the commitment of Every Rotarian, Every Year, contribute to The Rotary Foundation's Annual Programs Fund. Our club members donated a total of $8,230 in the 2017-18 Rotary Year, surpassing our goal of $8,000! Sam Badger*+, Wes Baumann, Bob Baker, Mary Lou Bilder, David Birkenstein+, John Ford, David Grant*, Heather Higgins, Anna Helfman, Tony Kambich*, Mark Kotz, Rich Lalley+, Denny Lauer, Bill Leske, Robert Mardirossian, Ned Meisner, Rodger Morris*, Tom Nash, Lee Padgitt, Brooke Peppey, Randy Reeves, Kieth Reid, Fred Schwimmer+, Greg Skirving, Mike Shelton, Peter Skalski, John Stone, Liz Taylor, John Thomas, Barb Tubekis, Dirk Tussing, Julie Tye, Patti Van Cleave. 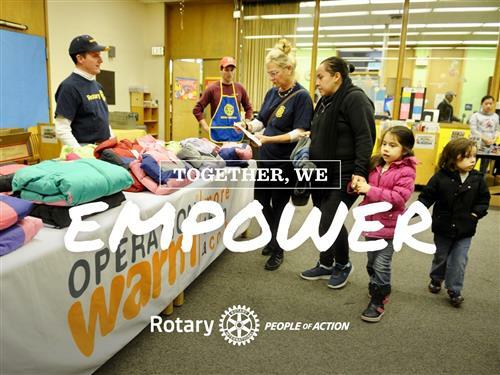 You can get a great start on the new Rotary year by making a contribution now. It’s easy to give. 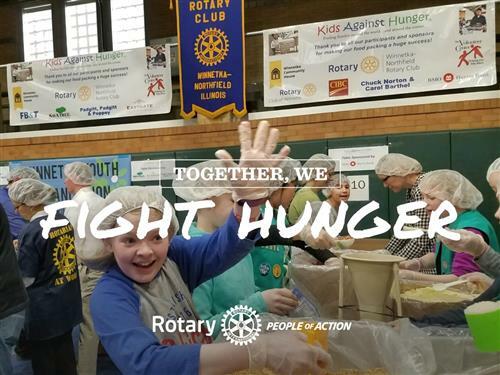 You can donate with a check or credit card at lunch; you can send a check to “WNRCF” (mark TRF in the memo line) to our club at 620 Lincoln Ave, Winnetka; you can donate via PayPal by clicking here, or you can donate directly to The Rotary Foundation at www.rotary.org or by calling 866-976-8279. One very convenient way to give is by making a recurring monthly gift on your credit card, which you can set up on Rotary’s website. 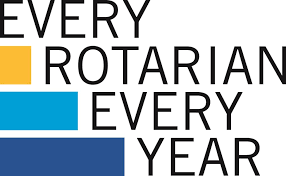 2017-18 Club President Tom Nash has set an ambitious goal for this year's Every Rotarian Every Year Goal- $10,000. Consider becoming a monthly donor, and for those who can, stepping up to the Paul Harris Society by pledging to give $1,000 each year.